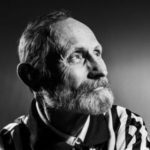 Walter Day – Board Director, as the founder of Twin Galaxies, the oldest video game scorekeeping and adjudication service in history, Walter Day is known as the creator of e-sports and has often been called The Patron Saint of Video Games. His remarkable efforts to find, verify and catalog video game world records has led to a decades-long partnership with The Guinness Book of World Records. 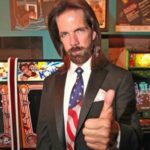 Billy Mitchell – Board Director, is history’s most famous video game player. Proclaimed the Video Game Player of the Century at the 1999 Tokyo Game Show, Billy has enjoyed a remarkable career that included history’s first perfect score on Pac-Man (3,333,360 points on July 3, 1999) and appearing in the 1982 LIFE magazine photograph that featured the video game superstars of the Golden Age of video games. Famous the world over as the iconic creator of Rickey’s World Famous Sauce, Billy is based in Hollywood, Florida and is the co-creator of the annual Kong Off (the official Donkey Kong World Championship).